Charcoal and Ink on Drawing Paper.. Refined with Adobe Photoshop. - Art prints offered for sale have different dimensions. And you might find some differnces between them and the animated ones presented in this project, due to the animating purposes. 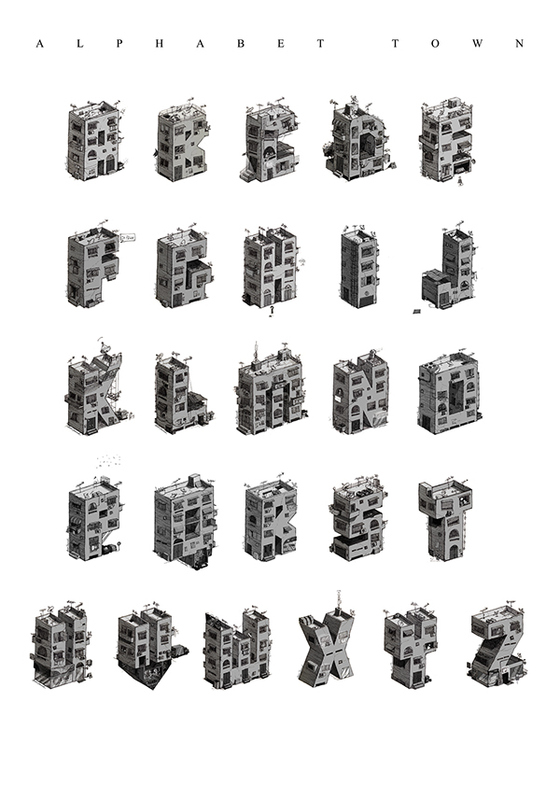 Alphabet Town is a town built of alphabet.